With few predators, plenty of gardens to munch their way through deer are one of the biggest (both in number and size) pests that gardeners face. The Minnesota Department of Natural Resources doesn’t keep track of the number of deer in urban areas, but nationally the estimates run between 15 and 25 million. While a hungry deer will eat just about anything, deer do have their food preferences. For deer, this lovely garden is a buffet! What does a deer want? Deer like vegetable gardens, fruit trees and hostas, hostas, hostas. 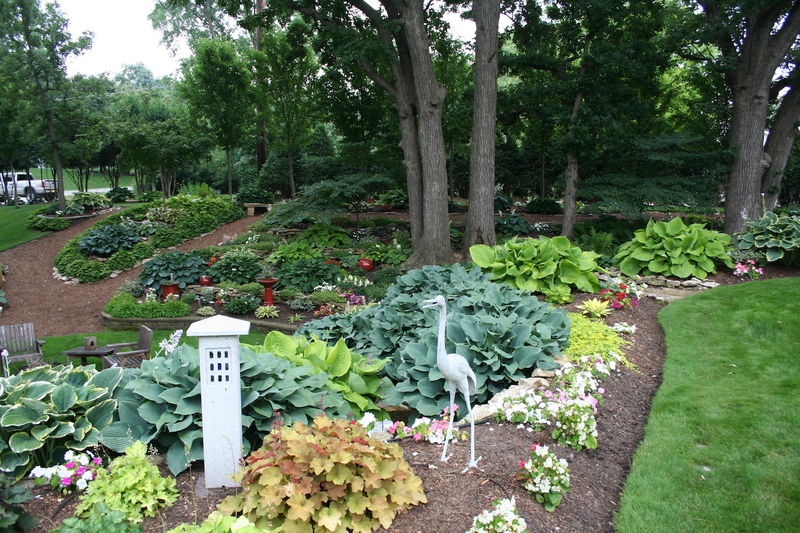 Other plants they like include tulips, pansies, daylilies, dogwoods, garden lilies, hydrangeas and impatiens. Generally, they stay away from plants that are toxic (foxglove, for example) or highly scented (Russian sage). There are few fool-proof methods for controlling deer, though a high fence (6-feet or taller, because they can jump) and a lively dog inside the fence would be a good deterrent. If deer are a persistent problem in your garden, check out Neil Soderstrom’s book Deer Resistant Landscaping, which also has great tips on dealing with other critters or Vincent Drzewucki’s slim, but enlightening book, Gardening in Deer Country.